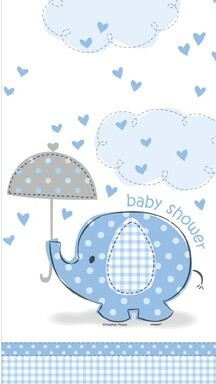 Large plastic Blue Umbrellaphants Tablecover. 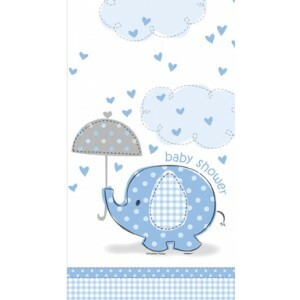 A shower of love rains down on these adorable baby blue elephants holding up polka dotted umbrellas beneath raining hearts and soft fluffy clouds. Large plastic boy Umbrellaphants Tablecovers. This large plastic tablecover measures 137cm x 274cm.